Can I Please Borrow $1,860,000? 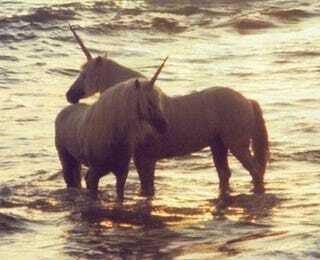 I really want to buy these two unicorns off of Craigslist! Check out the ad! We are selling 2 purebred unicorns. Male is 3 years old named Pagasus. Female is 5 years old and named Daisy. Price of $930,000 USD is per unicorn. Unicorns are hand fed from birth, and require just as much attention if you do decide to welcome a unicorn into your home. We also offer unicorn eggs for purchase. THEY SELL UNICORN EGGS!!! THAT'S AWESO... hey! Wait a minute! Unicorns don't lay eggs! This is a hoax, isn't it? DAMN IT! !